With the ever changing designs for Mountain and ATB's it has become impossible to predict which wheels to carry as stock builds. 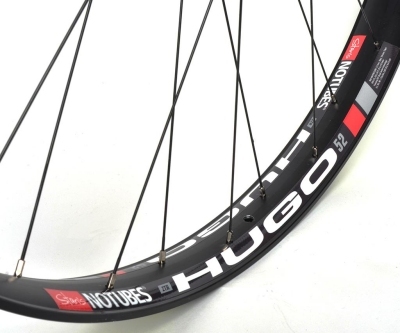 We do carry a few traditionally sized wheels in stock but mainly build anything else to order. Regardless of your requirements please feel free to call in or phone us for a quotation on any set of hand built wheels. We are able to order many different makes and models of rims, spokes and hubs at competitive prices and are always happy to discuss your needs.